A dense, green turf and a healthy landscape cannot thrive in the absence of professional fertilization and weed control. 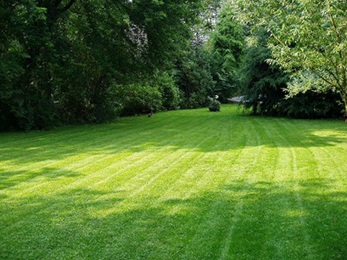 Here at Lawn Masters, we have gained a solid reputation over the years with the extended lawn treatments we offer all our clients. Forget about chemicals and sprays you buy from supermarkets – many can even harm your plants, the soil, and even beneficial insects! If you are serious about your beautiful landscape, our experts in fertilization and weed control in St Charles MO are here today to talk about our service! Best Fertilization and Weed Control in St Charles MO at Your Fingertips! Contrary to popular belief, your lawn and landscape need regular treatment all year long, not only when the weeds appear. For this reason, our experts in fertilization and weed control in St Charles MO have devised a 7-step plan spanning from early spring to late fall. 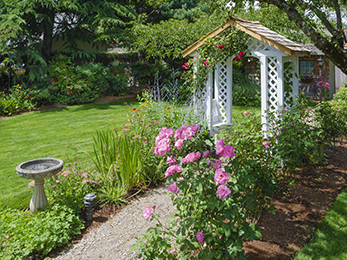 This extended treatment comes with our integrated pest management program, as pest control and weed control go hand in hand in certain periods. Late fall: it is the preparation stage when we make sure your lawn and plants will resist through winter and burst in color and scent next spring. Our specialists in fertilization and weed control in St Charles MO use high-quality granular fertilizers in specific concentrations and quantities, depending on the season and your landscape’s needs. 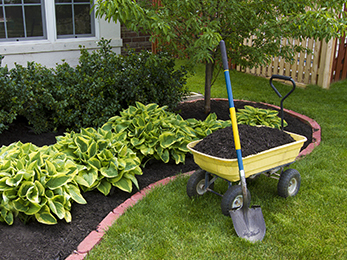 Our bed weed control program – part of our broader landscape management service – ensures your landscape beds stay in perfect shape all year long. We are a family-owned company, active since 1983, with a solid reputation in our community. In 35+ years of career, we have never compromised the quality of our work, and our pool of happy customers can vouch for that. If you want to have a chat with our experts in fertilization and weed control in St Charles MO, give us a call, ask for a free estimate, and get the best service for your property!